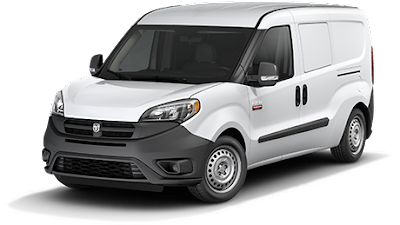 Melloy Dodge: The Ideal Delivery Vehicle or Mobile Automotive "Office"
The Ideal Delivery Vehicle or Mobile Automotive "Office"
The Ram ProMaster® at Melloy Dodge offer versatile solutions for New Mexico businesses who need a dependable, flexible, and convenient commercial van. These easy in, easy out vehicles are ideal delivery vehicles or for service businesses that work from the mobile, automotive “office”. Available in a number of sizes and trims, they include a cargo van, a chassis cab/flatbed or cutaway, perfect for customization of the bed; a window van; and the ProMaster City®, also available in several trims. The Commercial and Fleet department staff at Melloy Dodge can help you find the vehicle for your company’s needs including any customization, and often include it within the financing of the vehicle. ProMaster® offers a high or low roof model in the 2500 and 3500 models, with 65 inches of cargo height within the interior. In its class, it is the only vehicle that’s front wheel drive, allowing the 3500 model to have best-in-class turning diameter. It also has best-in-class lowest load floor height at just 21 inches. 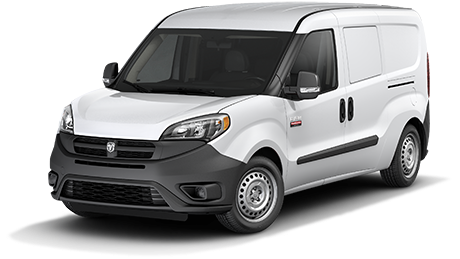 The Ram ProMaster® offers an available rear back-up camera, standard 6-speed automatic transmission, and can go up to 18,500 miles between oil changes. It includes a 3 year/36,000 mile basic limited warranty and a 5 year/100,000 mile diesel powertrain limited warranty. The gas-powered models offer a 5 year/60,000 mile gas powertrain limited warranty. Over 35 standard and available safety and security features are found, including increased driver visibility, six standard airbags, electronic stability control, and high performance brake pads. Melloy Dodge in Albuquerque is the metro’s largest ProMaster® dealership, as well as the authorized BusinessLink program. This Chrysler program provides business owners with sales and service benefits to keep them on the job. The no-cost BusinessLink program offers next-bay service, loaner vehicles, a dedicated account manager, financing expertise for business vehicles, extended service hours, and other benefits.